Hope College has partnered with PrestoSports in this fourth redesign of the college’s athletics website. PrestoSports also services the websites for the Michigan Intercollegiate Athletic Association and more than 300 NCAA Division III institutions. This is the first update to Hope’s athletics website since 2005 when student Steve Adair provided the website framework. Hope was a national leader when it debuted an athletics website in 1997, then updated it three years later. The partnership with PrestoSports will allow opportunities for expanded coverage of Hope Athletics, including visually. Each team’s roster pages now will feature individual pictures of each student-athlete. Results from Hope sporting events will be updated more quickly. The Sports Information Department at Hope College is planning to provide multi-media storytelling, including expanded use of video and social media. PrestoSports also offers a mobile site for Hope Athletics, making it easier for fans to keep up to date with their smartphones. Fans will have an easier time following the Flying Dutch and Flying Dutchmen in whatever way they prefer. You can find HopeAthletics on Facebook at HopeAthletics and on Twitter @HopeAthletics. 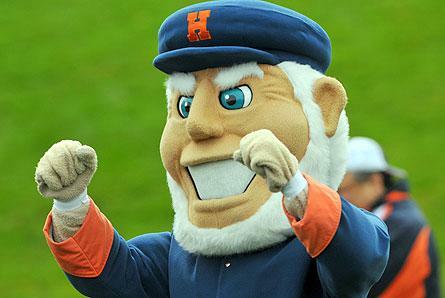 Another exciting school year is underway at Hope College, and we are on the cusp of exciting Flying Dutch and Dutchmen action. We hope you enjoy this newest way to keep track of your favorite school and teams.